Kia Motors will launch not one but two new SUVs in the next 2 years. The first SUV – based on the SP Design concept – will be a Hyundai Creta challenger. The Creta rivaling Kia SUV will be launched in the middle of 2019, but will be priced slightly higher than the Creta and will be more luxurious and feature rich. Kia SP Design Concept – Hyundai Creta Challenger! 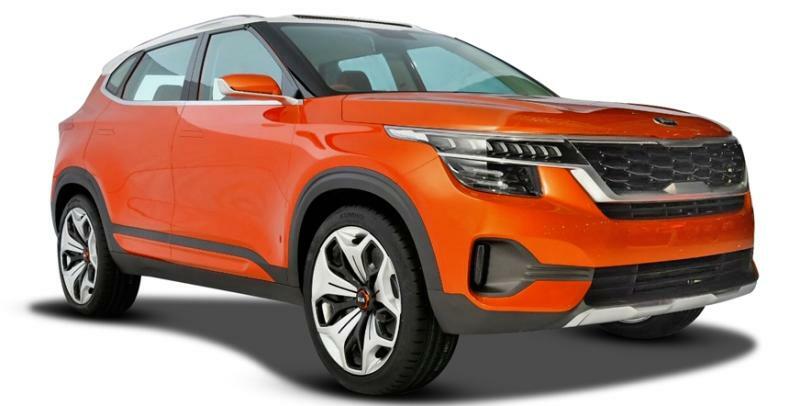 The next SUV will be a sub-4 meter model, designed to take on the Maruti Suzuki Brezza, Tata Nexon and the Ford EcoSport. It’ll be launched in 2020. A year later, in 2021, Kia plans to launch a premium hatchback that will compete with the Maruti Baleno and the Hyundai Elite i20. So, these are the first three cars that Kia will build and sell in India. The South Korean car maker, which is 30 % owned by Hyundai, has set up a brand new factory in Anantapur, Andhra Pradesh. The factory will start producing cars in the middle of 2019, when the Creta challenger will roll out. Since Kia is a new brand, the company wants to carve out a premium image for itself and not directly challenge Maruti Suzuki and Hyundai – the market leaders in India. Instead, Kia plans to prices its vehicles slightly higher than what Maruti and Hyundai do with their cars. Kia plans to have no less than 300 dealerships and service centers across the length and breadth of India in the next 3 years. The company is likely to share platforms with Hyundai. A heavy amount of localization is expected on the Kia range of cars sold in India as there is no other way that the company can price its products competitively. Moreover, high localization means lower service and spare part costs – important things for a car brand to succeed in India. We hope Kia scripts a story like Hyundai in India. Our country needs the jobs the Kia factory will create.